The most recent short interest data has been released by the NASDAQ for the 09/15/2015 settlement date, which shows a 909,425 share increase in total short interest for Hanger Inc , to 4,262,669, an increase of 27.12% since 08/31/2015. Total short interest is just one way to look at short data; another metric that we here at Dividend Channel find particularly useful is the "days to cover" metric because it considers both the total shares short and the average daily volume of shares traded. Investors considering a purchase of Hanger Inc shares, but tentative about paying the going market price of $14.80/share, might benefit from considering selling puts among the alternative strategies at their disposal. One interesting put contract in particular, is the March 2016 put at the $10 strike, which has a bid at the time of this writing of 35 cents. FOX, X, URBN, WSH and HGR were all recently downgraded by The Street's Quant Ratings. The law firm of Federman & Sherwood has initiated an investigation into Hanger, Inc. In trading on Wednesday, shares of Hanger Inc crossed below their 200 day moving average of $22.77, changing hands as low as $22.47 per share. Hanger Inc shares are currently trading off about 2.3% on the day. The most recent short interest data has been released by the NASDAQ for the 06/15/2015 settlement date, which shows a 360,110 share increase in total short interest for Hanger Inc , to 3,164,600, an increase of 12.84% since 05/29/2015. Total short interest is just one way to look at short data; another metric that we here at Dividend Channel find particularly useful is the "days to cover" metric because it considers both the total shares short and the average daily volume of shares traded. Investors considering a purchase of Hanger Inc stock, but tentative about paying the going market price of $24.45/share, might benefit from considering selling puts among the alternative strategies at their disposal. One interesting put contract in particular, is the December put at the $20 strike, which has a bid at the time of this writing of 90 cents. 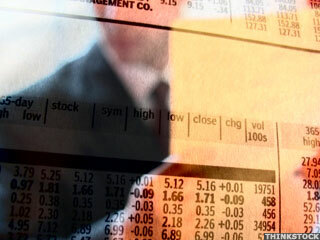 DDD, HGR, SKUL, CUDA and SUN were all downgraded by TheStreet Quant Ratings this week. In trading on Friday, shares of Hanger Inc crossed below their 200 day moving average of $23.58, changing hands as low as $23.49 per share. Hanger Inc shares are currently trading down about 0.9% on the day. Investors eyeing a purchase of Hanger Inc shares, but tentative about paying the going market price of $23.09/share, might benefit from considering selling puts among the alternative strategies at their disposal. One interesting put contract in particular, is the September put at the $20 strike, which has a bid at the time of this writing of $1.20. In trading on Wednesday, shares of Hanger Inc crossed below their 200 day moving average of $24.23, changing hands as low as $23.86 per share. Hanger Inc shares are currently trading down about 3.6% on the day. 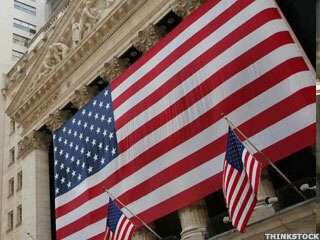 Hanger (HGR) has been upgraded by TheStreet Ratings from Hold to Buy with a ratings score of B. In trading on Wednesday, shares of Hanger Inc crossed above their 200 day moving average of $24.71, changing hands as high as $24.89 per share. Hanger Inc shares are currently trading up about 2.4% on the day. Levi & Korsinsky announces that a class action lawsuit has been commenced in the United States District Court for the Western District of Texas on behalf of investors who purchased Hanger, Inc.
INVESTOR ALERT: Law Offices Of Howard G. Smith Announces Lead Plaintiff Deadline In The Class Action Lawsuit Against Hanger, Inc.
Law Offices of Howard G. Smith reminds investors that purchasers of the securities of Hanger, Inc.
Investors in Hanger Inc saw new options begin trading today, for the February 2015 expiration. At Stock Options Channel, our YieldBoost formula has looked up and down the HGR options chain for the new February 2015 contracts and identified one put and one call contract of particular interest. The most recent short interest data was recently released by the NASDAQ for the 10/31/2014 settlement date, and Hanger Inc is one of the most shorted stocks of the Russell 3000, based on 12.00 "days to cover" versus the median component at 5.75. There are a number of ways to look at short data, but one metric that we find particularly useful is the "days to cover" because it considers both the total shares short and the average daily volume of shares typically traded. Bernstein Litowitz Berger & Grossmann LLP ("BLB&G") has filed the first and only securities class action lawsuit against Hanger, Inc.